Arthur Wellman is a seasoned intellectual property litigator with over 20 years representing both private and public companies, including some of the largest technology companies in the country. Having handled over 15 trials and arbitrations, Mr. Wellman brings his vast experience as Special Counsel at Pranger Law PC, where he handles litigation matters at all phases through trial and appeal, with an emphasis on patent infringement actions. 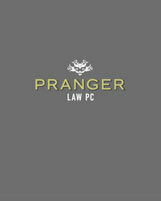 Prior to Pranger Law Mr. Wellman was at DLA Piper where he focused on high-stakes patent enforcement actions, and before that he was with Foley & Lardner where his experience included patent enforcement actions, proceedings before the USPTO, and analysis of patent portfolios and pending actions for investment/ acquisition activities, as well as trademark and bankruptcy litigation. He also has experience in other commercial litigation and appeals, particularly for biotechnology and life sciences companies. Mr. Wellman’s experience includes serving as CEO and Legal Counsel for D3G, Inc., a drug discovery company. He served as an extern clerk to the Hon. David R. Thompson in the 9th Circuit. Mr. Wellman earned a bachelor’s degree in biology at UC San Diego, where he gives lectures on intellectual property. Hewlett Packard Co. adv. Gateway; HP adv. ACER: Successfully designed and implemented patent enforcement strategies for HP involving the filing and defending of various actions in Federal Court and the International Trade Commission (including invalidation of Gateway’s asserted patent at trial), generating profits for HP. Clarilogic, Inc. v. FormFree Holdings Co.: Achieved successful invalidation of an asserted patent for a small startup company threatened by a larger competitor, and defended the judgment upon appeal, well under budget. Amersham Pharmacia Biotech, Inc. adv. Applera Corp.: obtained very favorable settlement in litigation for plaintiff in actions relating to automated DNA sequencing. Hewlett Packard Co. adv. Cornell: Conceived of, researched and prevailed upon a then novel motion to challenge damage expert testimony, greatly reducing and/or eliminating damages, now widely copied in patent cases. Sequitur, Inc. adv. Isis Pharm., Inc.: Successfully resolved series of actions against a small biotech company sued by a much larger competitor in cases involving several biotech patents. Advanced Cell Tech., Inc. adv. Infigen, Inc.: Successfully represented small biotech company in related actions arising from a dispute over access to patented technologies in the field of mammalian cloning. Also prevailed as a junior party in related interferences. Qualcomm adv. Nextel: Designed and implemented enforcement strategies involving the filing and defending of various actions in U.S. and foreign courts, as well as the ITC, supervising litigation teams including in-house resources and outside counsel from other firms. Centocor adv. various generics: Successfully protected Centocor in defending various patents in the pharmaceutical/biotechnology sectors in the context of ANDA and other patent litigation. Consultations with Centocor and Johnson & Johnson on enforcement strategies. élan Pharm., Inc. adv. Allergan, Inc.; élan adv. BioPort Corp.: Successfully represented acquirer of certain assets of élan in patent infringement and breach of contract actions involving the medical and cosmetic use of toxins from the bacterium Clostridium botulinum (aka BoTox). Successfully represented companies large and small in a variety of fora (including the Eastern District of Texas) against various patents asserted by non-practicing entities, both large and small. King Street Capital Mgmt., LLC: Successfully analyzed and predicted outcomes in various patent litigation matters and/or re-examinations in the pharmaceutical sector for investment decisions. Acquisition Analysis: Represented large medical device and pharmaceutical companies valuing and/or managing pending litigation and patent issues in connection with acquisition activity. Medicis Pharm. Co.: Designed corporate restructuring to maximize tax benefits and patent enforcement; consulted on various issues in connection with licensing activities.